Getting people to sign up for your newsletter may sound difficult, but the execution doesn’t have to be. 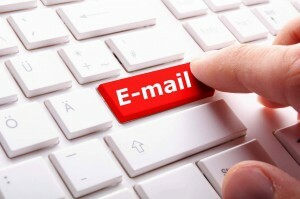 There are plenty of very easy ways to effectively garner email sign ups. Just take a look at these eighteen ridiculous easy ideas on how to watch your subscription list grow to get started. Leave a sign up sheet by your register. This works well for those who have physical store fronts in addition to their online ones. Just politely ask your customers if they would like to sign up as you check them out. The worst that can happen is that they say no. Offer a freebie with sign up. Offering your customers something in return for subscribing to your emails gives them a big incentive. It might be a small product, a free ebook, $5 store credit, an exclusive coupon- anything you want to give them as long as it is something. Offer subscribers exclusive content. Another incentive for people to sign up is offering them content that is exclusive to them. Just ensure it is valuable enough to prompt them to sign up. Utilize calls to action. 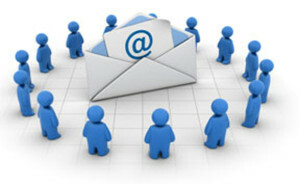 Utilize calls to action on social media, blog posts, and website articles asking for people to sign up for your emails. Calls to action need to be simple, clear, and straight to the point in order to be most effective. Rafflecopter giveaways. Rafflecopter giveaways are great because you can use signing up for your emails as a way to enter. Just ensure you are offering something people will actually want. Use Pinterest to pin emails. Any visual emails you create can be pinned on this social network. Doing this can give people an idea of what to expect from their subscription, thus prompting more sign ups. Create a referral program. Reward your current audience for bringing you in more sign ups. The rewards and actual program can vary greatly, but the idea is that you are rewarding your audience for helping you. It’s like a thank you- only better. Tweet about it. Send an occasional tweet out asking for your followers to sign up for your email list. Post about it on Facebook. Ask everyone who has liked your company’s page if they have already signed up for your email list. Gently prompt them to do so if they haven’t already. Link to it on your blog and website. Have a link set up on both your blog and website (in the header or the sidebar) where people can easily sign up to receive your emails. Add a sign up form to your contact page. In addition to the other links you put on your blog and website, have a sign up form on your contact page. This offers another opportunity to prompt people to subscribe. Integrate with other forms. If you have any other forms on your website, you can integrate email sign ups with them. Just include a little check box on the bottom of the form asking people if they would like to receive future information from you. 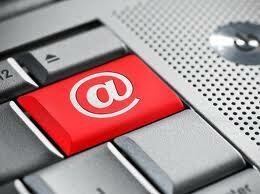 Make your emails easy to forward. Include a simple ‘forward to friend’ link somewhere in your email, making it easy for people to share your content. When your current subscribers forward, they are increasing the chances that their friends will also sign up. Pop ups. Include a pop up on the main page of your blog or website asking people to sign up for your email list. Don’t include it on every page- just the main one. Otherwise, it can get annoying. Add it to the checkout process. This can be done in the same way you would add it to the other forms on your site. Just add a little check box that people can click if they would like to subscribe to your emails. Guest posts. Guest posts are when you write a post for someone else’s blog. Use your call to action or included links to ask people if they would like to sign up for your emails if they enjoyed what they just read. Make signing up simple. Minimize the amount of things people have to enter when subscribing to your newsletter and you will see an increase in your list. Use the hello bar. A hello bar is a little colored bar that sits at the top of your website and can prompt users to subscribe to your newsletter. 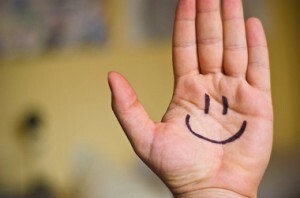 Using the hello bar is become an increasingly popular form of advertisement. If you utilize these eighteen simple ways to garner more emails sign ups, you will see a big difference in how quickly your list of contacts grows. Using even just one or two of them can see your subscribers list grow at an increased rate, but using them all is most effective. The best part? All of the above are simple to do, uncomplicated, and take up very little of your time when setting them up.